Indoor air pollution is a widespread environmental hazard faced by schools in India. As children spend most of their time in schools, they are vulnerable to respiratory problems. Common indoor air pollutants such as VOCs present in cleaning supplies, dust, and PM2.5 trigger asthma and allergy symptoms among children. According to a report, the pollution level in Delhi schools is five times higher than the safety limits. 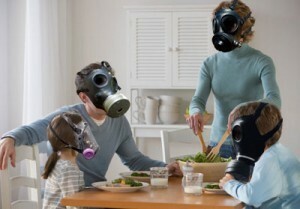 The finding suggest that the issue of indoor air quality is as important as the outdoor air quality. Taking into consideration the increasing concerns of indoor air pollution, the blog discusses the impact of indoor air pollution on children’s performance and ways to improve IAQ. Read on. How Does Indoor Air Pollution Impact Academic Performance? Children spend much of their time in schools during their growth years. The problem increases further if the school building is old and a safe haven for mold growth. Poor ventilation, water leaks, pet infestation further add to the problem. The presence of dead skin cells, paper dust, chalk dust, and clothing fibers increases the levels of PM 2.5, PM 10, and PM 1.5. Breathing impure air also increases absenteeism as a result of asthma and allergies. These factors have an impact on the academic performance of children. Why are Children more Vulnerable to Indoor air Pollutants? The presence of these irritants in the indoor environment not only increases the risk of asthma and other respiratory problems but also lowers their concentration levels. As children have underdeveloped lungs, the presence of indoor air pollutants irritate their tender lungs, thereby triggering asthma and respiratory problems. Bad indoor air quality also impacts the development of endocrine glands, nervous and immune system of children. In addition, illnesses such as cold and flu easily spread among kids due to their underdeveloped immune system. The lethal combination of poor ventilation and indoor air pollution spread infectious airborne diseases among children. One of the ways to improve indoor air quality in schools is by removing the sources of pollution. Keep glues, sketch pens, markers, and other stationery items that produce gases closed after using them. The furniture and paints used in classrooms should not contain VOC, which is a major source of indoor air pollution. If your child has any kind of allergy, inform the teachers about the potential triggers. Installing a HVAC system in schools plays an important role in improving the indoor air quality. Supply of fresh air and proper ventilation maintain the humidity level in the classrooms. Proper humidity levels prevent mold growth and keep the indoor air free from pollutants. Though many people have started taking steps to improve air quality at home, schools also need to make efforts to reduce pollution. 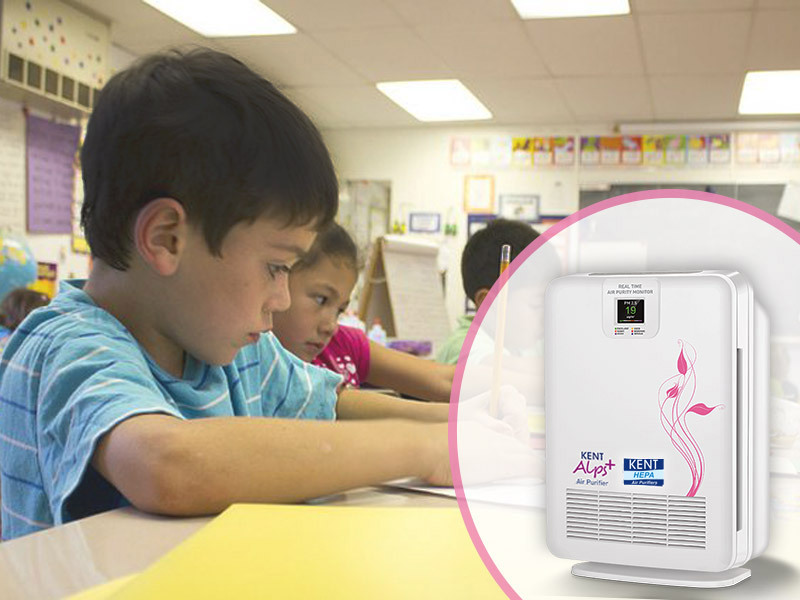 Installing air purifiers in schools will not only reduce pollution but also improve the performance of children. 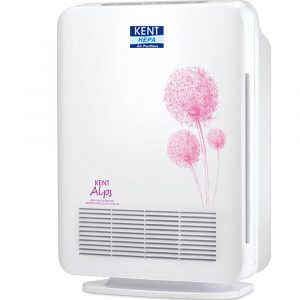 KENT provides an extensive range of air purifiers that effectively remove indoor air pollutants so that you breathe safe. 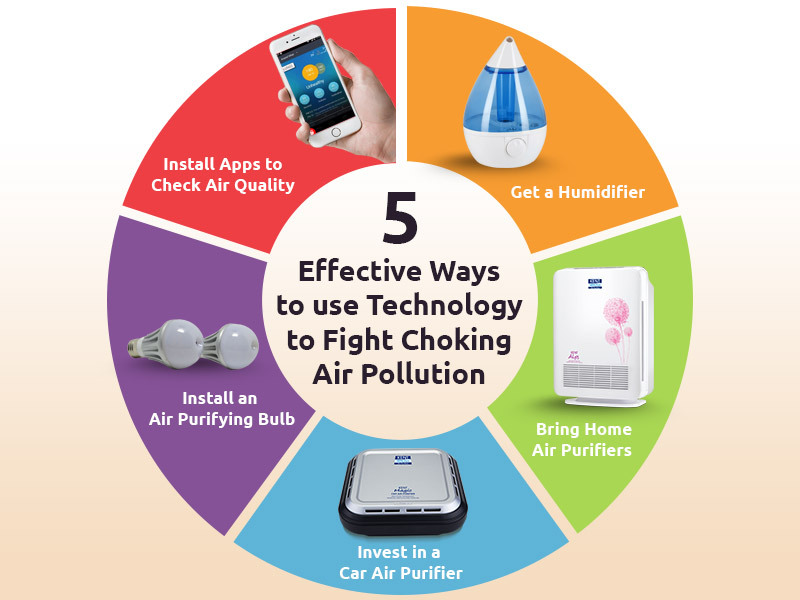 Visit our website for top quality air purifiers with HEPA filters .